Positive Behavioral Interventions and Supports (PBIS) is a preventative system for school and classroom behavior management. Once PBIS is established school-wide, a PBIS classroom management plan encourages teachers to recognize and reward positive student behaviors, as opposed to punishing students for undesired behaviors. This establishes a predictable and safe classroom, as well as a positive relationship between teacher and students, which can lead to lower rates of suspension. Much like the criminal justice system, many school behavior systems focus on punishing students with the goal enforcing safe behaviors. The school-to-prison pipeline has real implications in the lives of students who are continuously suspended from school. Additionally, punitive behavior systems that prioritize suspensions place students at an academic disadvantage. Each time a student is suspended they are missing out on classroom instruction and falling further and further behind academically. PBIS impacts school suspensions by establishing preventive behavior management systems that keep students in the classroom and in the school building. Through the use of data, outcomes, practices and systems PBIS promotes a positive school climate that reduces school suspensions. These systems prioritize positive behaviors and rewards, rather than focusing on punitive consequences. The use of these thoughtful systems and practices in conjunction with a focus on building relationships between teachers and students creates a positive school culture and climate and reduces school suspensions. One of the goals of PBIS is to use positivity to guide behavioral expectations. According to PBIS.org, it is recommended that classroom teachers acknowledge positive student behavior at least five times more often than they acknowledge student problems. 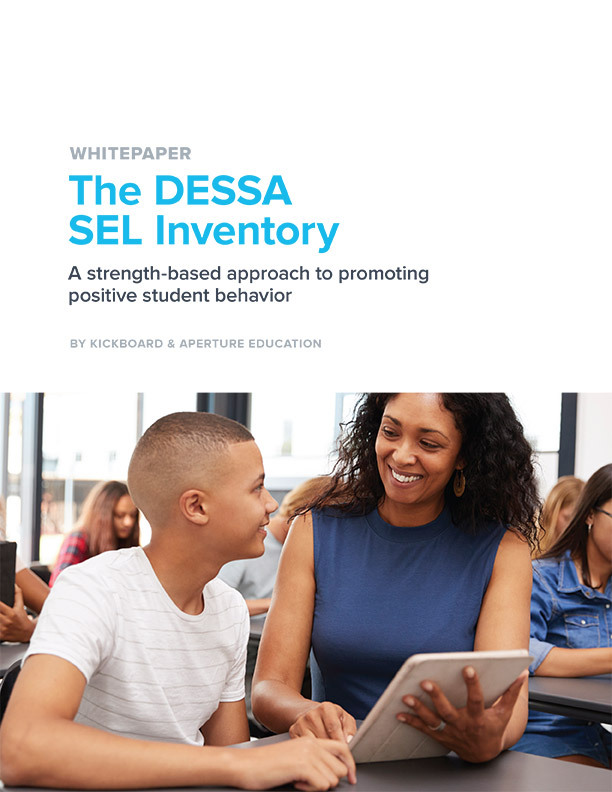 In order to remain positive within the classroom, school leaders must set clear school-wide norms around behaviors that should be managed in the classroom and behaviors that require a referral or suspension. Some students are being suspended for minor classroom management issues. With clear behavior norms and thorough behavior management professional development, teachers can better manage minor behavior issues with positive interventions, while solving more serious behavior issues with administrative support. Building genuine relationships with students shows that you care about them and are invested in their well being. Once students realize you are invested in them as individuals you can build respect, which will make a difference when holding students accountable for their behavior. Along with the use of PBIS, the use of Restorative Practices can also be an effective alternative to suspensions. Restorative Practices are used by schools as a proactive approach to school discipline; this practice fosters empathy and community, in addition to building relationship skills. Creating routines and expectations allows educators to differentiate ignorance versus defiance. Students often get in trouble because they genuinely did not know what they were expected to do. Ensure teachers set clear routines for everything they would like students to do in the classroom. Although it can be tedious, be explicit about everything. Do not assume that students know the expectations and be sure to model how you would like things to be done. Give students multiple opportunities to practice classroom routines; provide ongoing support for routines and behaviors; reinforce expected behaviors and explain the consequences if the expectations are not met. When students are clear about your expectations they can met them with ease. The use of data is integral to the effective implementation of PBIS, and to the reduction of school suspensions. When examining national data it is clear that students of color and students with disabilities are disproportionately suspended. 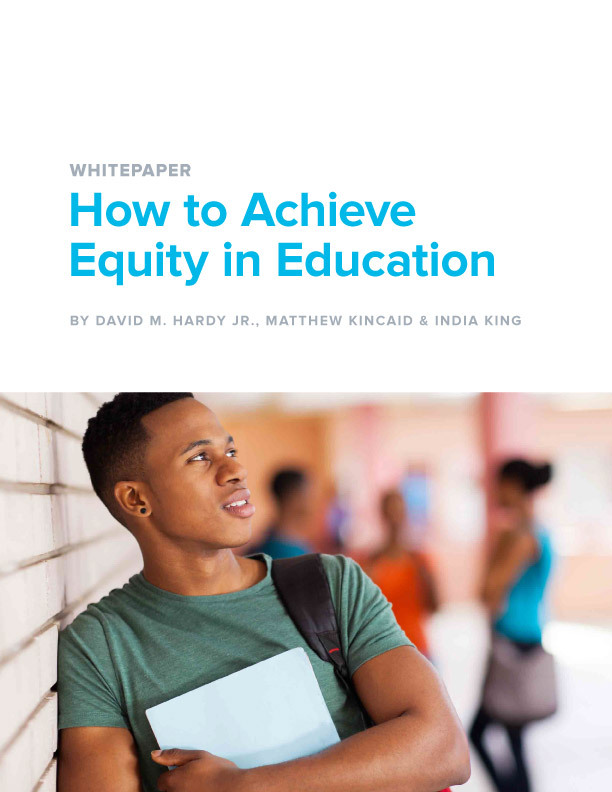 According to the 2015-2016 Civil Rights Data Collection Report, White males accounted for about 25% of school enrollment and about 24% of school suspensions. Conversely, Black males accounted for about 8% of school enrollment and 25% of the school suspensions. Schools must be aware of the racial bias that can affect how students are disciplined. Leaders and teachers must use data to analyze trends in student behavior and uncover disproportionality. The positive school culture fostered by PBIS is also supported by the use of social and emotional learning, which emphasizes empathy and allows students to develop skills such as self-awareness, self- management, social awareness, relationship skills, and responsible decision-making. By removing students from the classroom or the school, educators are creating a temporary solution for the adults in the school building, but not addressing the root cause of the behavior. Suspensions negatively affect students academically and fail to teach students appropriate, positive behaviors for the future. The school-wide, Tier 1, interventions used through PBIS are effective for about 80% of the student population, leaving the opportunity for educators to positively focus on students who need additional behavioral support. By focusing on positive interventions, relationships, routines and data PBIS helps schools to reduce suspensions and replace punitive behavior practices with other accountability measures that hold students to high behavioral standards. PBIS allows schools to prioritize classroom instruction and improve student achievement. Here at Kickboard we have seen school culture transform because of effective implementations of PBIS. We also have the tools and resources to support your school team as they begin to implement PBIS as a way to promote positive school culture. 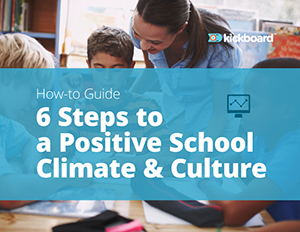 Click here to learn more about how Kickboard can support PBIS in your school.